Author: MacMillan, Margaret Set In . . . 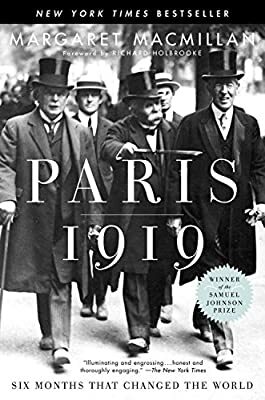 Description: A landmark work of narrative history, Paris 1919 is the first full-scale treatment of the Peace Conference in more than twenty-five years. It offers a scintillating view of those dramatic and fateful days when much of the modern world was sketched out, when countries were created—Iraq, Yugoslavia, Israel—whose troubles haunt us still.